Home » Blog » It’s SPRING – How Are You Coming Alive? 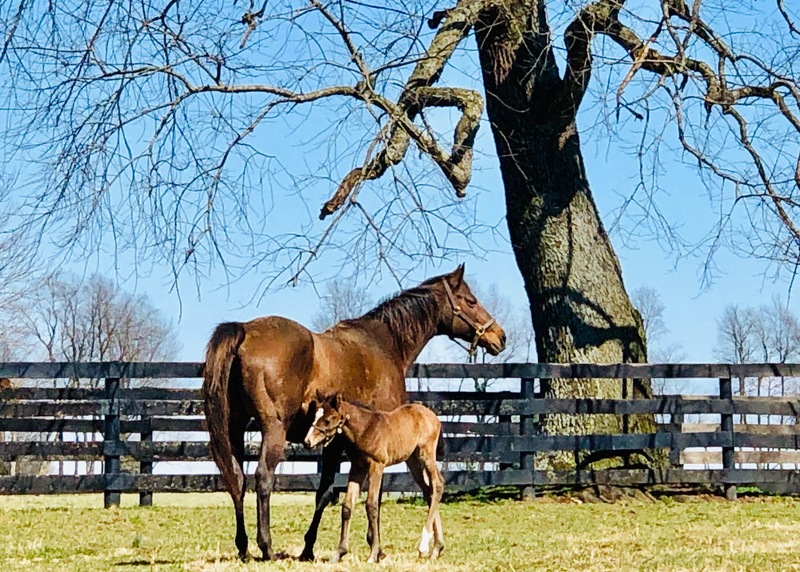 It’s Spring in Kentucky and our horse farms are coming alive with baby foals galloping alongside their mothers. Is Spring tapping your urge to engage in something new as well? The warmer weather and increased light usually creates a rise in energy to be more creative. I visited a friend’s horse farm to see the babies. What an operation – there’s a lot we can learn from them. The thoroughbred foaling season is meticulously regulated with breeding and birthing 11 months later in the spring, both under the watchful eye of veterinarians. 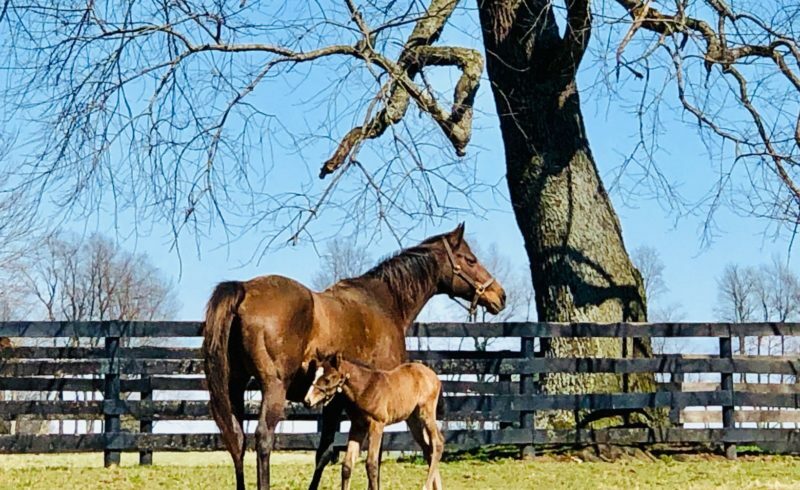 Across the Bluegrass, breeders have “night watchers” in their barns from January to April and are on-call to ensure that mares have a safe and successful birthing process. With so much careful planning, each birth is a celebration of clear intention. How are you coming alive? What is wanting to be created or born in you this season? Are you willing to engage in the planning needed to bring it to life like they do on horse farms? Here are some things to consider. What’s stirring inside of you that wants more expression? Spring gives you the renewed energy to think about it and get moving with it. Relax into your thoughts – let old desires resurface – let urges you’ve pushed aside come to the front. The only way change happens is by giving thought to your yearnings. It all starts with your mind. I’m excitedly helping my clients consider all manner of things from going back to school, starting a new business, to shedding unhelpful habits. Your thoughts are the seeds for change and new birth. With thoroughbreds, the markers of what is desired are clear. Horses are bred to run, and boy do they love it. When you see them as yearlings racing around the fields, you realize they have no doubt about what they want to do. And everyone around them is engaged in the same vision. Are you putting the same disciplined and clear attention to your vision? Are you surrounding yourself with people who buy into your vision and support you in it? The more seriously you take yourself, the more others will as well. See yourself in the fullness of your dream and then plan accordingly. There is an extraordinary amount of genetic research involved in breeding thoroughbreds, followed by an equal amount of very careful planning, all with specific end results in mind. Are you willing to give your ideas that much attention? While none of this preparation guarantees success, it certainly gives you a better chance. The more attention you give to the formation of your desires, the better you are ensuring your success. Organization and preparation always pay off. Put the same amount of attention in your plans as you want to get back. There are a myriad of jobs in the horse industry from people in the barns feeding and caring for the horses, to those who exercise them, train them, ride them, breed them, and care for their health. Each one has a specific expertise. No one tries to do it all if they expect to succeed. Are you trying to do things beyond your expertise? Most people do and the results are often limited. I am still learning this myself. I need help in many areas, especially with technology. I’m reaching out for help. Are you? It pays to engage experts in helping you succeed. In Kentucky, Spring is always fouling season and the horse industry provides a perfect metaphor to understand what is needed to bring something new to life. How are you responding to your urges and rise in creative energy? Are you giving yourself time to think your vision through, allowing the fullness of your dream to take shape? Are you considering the background research, the planning and preparation to make your dream successful and getting the help of experts? The more you consider and address each facet, the more you are insuring your success. If there is something pulling at you that wants to be explored and expressed, Spring is a great time to launch it. Take your desires seriously and if you want support in the process, my Transformational Coaching and Counseling is designed to provide it. See www.spectrumtransformation.com for more information and reach out to me through my Free Consultation link . I’d love to help you reach your dreams. #welcomethenewseason, #spring, #springcleanup. #spingmentalcleanup, #timeforchange, #creativechange, #powerfulthoughts, #changeyourperspective, #createthelifeyoulove, #envisionyourlife, #knowwhenyouneedhelp, #knowyourexpertise, #bethechangeyouseek, #transformationalcoaching, #createtransformation.